It’s finally here. For decades now, big business with proven fool-proof recipes for the perfect tasting burger have dominated the economic landscape of the food industry. They have the money to set up shop anywhere, advertise to anyone and sell their product at an astronomical mark up. They control what people like, because they have the influence to tell people what’s good. The new BBQ Bacon Burger – gotta have it! Homestyle Chicken BLT – for a limited time! Except….something happened. You can now get the SAME hamburgers for free, anytime, without leaving your home…if you want. Baby Boomers could care less. They will still pay for the burgers. Generation X are hanging on to the novelty of the burger joints but still secretly enjoy the free food. Millennials don’t remember ever paying for a burger. Oops…am I talking about food again? I meant MUSIC. Now think about all that for a moment, because it’s easier to consider music as a consumer product than art. Or at least…it was. These new artists and fascinating new genres have all come into the public spotlight WITHOUT the money of major record labels, publicity companies, or the ailing music press that still relies on the rapidly depleting advertising dollars like a meth addict who is still insisting they do not need help. 2. If you don’t want to pay for the music, you don’t really have to. No matter how hard the industry tries, there is ultimately no way to avoid people LISTENING to whatever they want at practically zero cost – whether it’s on a free Spotify account or streaming on youtube, there are legal ways to consume music that are still free. So…if it costs upwards of $10,000 to record a decent album, then another $5000 to manufacture souvenirs like CDs or records (or cassettes if you are extra hip these days…), then WHAT is the logical financial reason to produce and release a new album in 2017? To tour and sell t-shirts? I have been personally wrestling with this question ever since the release of our 2014 album “Soldiers of the Mark.” We released it on our own label, worked closely with reputable Canadian publicity companies and e-marketing strategists, toured Western Canada and the UK, and we have become moderately successful as independent artists. It’s been almost three years and we are doing wonderful things I never thought would be possible without a bigger label supporting the band. but now you will be expected to record another album! Prepare to invest thousands all over again and struggle to make it back. We operate independently. We are not required to. Then I read something that enlightened me, and it came from the highest order of music industry business. It came from the top. It came from Paul Stanley of KISS. 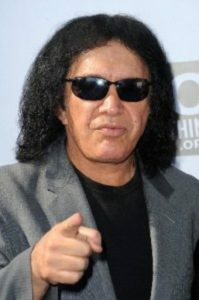 He and Gene Simmons were moaning about how financially pointless recording a new album would be. Gene blames college kids who like Radiohead and makes some very heartless comments about Kurt Cobain’s suicide and the substance abuse problems of former bandmates. And there it is – from the kingpin of Rock ‘n Roll biz himself. There may be no financial model that works. SO….why do artists continue to write, record and release music? 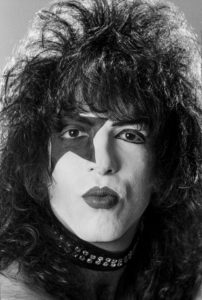 And what does Paul Stanley think of releasing albums in 2017? Yes we do, Paul. If you are saying that producing new music is now an exercise in creativity rather then album sales, then we are entering a new era of artistic sincerity.. Just think of how music and art in general will evolve in the 21st century. We are all fortunate to be alive at this moment, the future possibilities for art and human culture is exciting beyond words. The new age of the independent artist is here…those who cling to the dependencies of the past will not endure. They will be lost in an obscurity that their revered record deals and management and publicity cannot save them from. The New Jacobin Club has seen firsthand that fans often DO give hardworking and sincere artists what they deserve, and for this we thank you all. 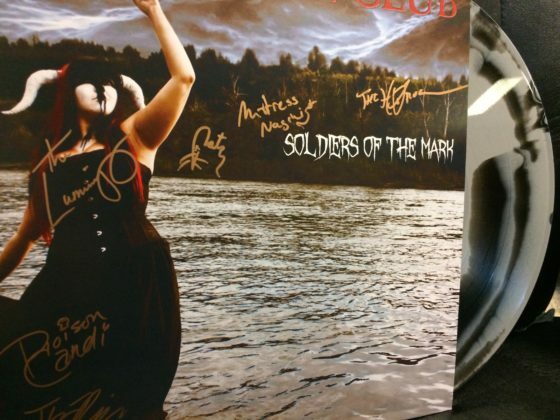 We will be begin working on our 6th studio album in the coming months, and to say “thank you” for all the support that the band has received since the release of our last album, we are holding an end of summer FREE SHIPPING blowout sale at our webstore AND we will be giving away an autographed 12″ coloured vinyl copy of “Soldiers of the Mark” as well as a signed 20th Anniversary poster. To be entered to win – just leave a quick comment below with your thoughts on the new world of free music and independent artists – do you pay for music? What other independent musical artists you are currently excited about? 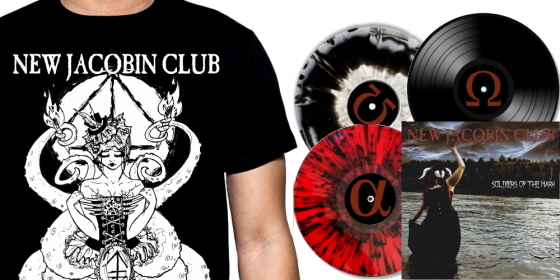 And if you want to SUPPORT US in our upcoming massive recording project, please do check out our webstore sale (and get an AUTOGRAPHED poster with any advertised special) – and we’ll enter you TWICE in the autographed 12” record draw!